About 90 minutes after I posted that I didn't think I was going to get the flooring done this weekend because it hadn't come in, Home Depot called and said "your flooring is in." I was both happy and disappointed at the same time. Happy because it in on time, not happy because that meant I'd be working my hiney off on the weekend installing flooring. The job was done in one day - from 9am to 5pm. Basically one work day. The stuff is easy to install. 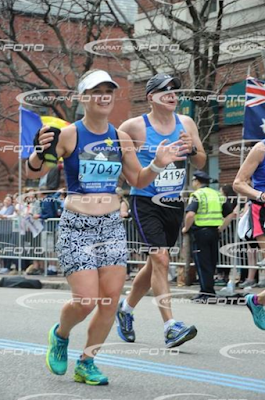 However, easy doesn't mean I wasn't sore the next day. Or today. For whatever reason, installing the flooring resulted in a very sore right inner thigh. I have no idea why. All I know is my right quadricep muscle and right inner thigh/hamstring is achy and whiney. It almost stopped me from sealing more tile and installing a section of toe kick in the kitchen yesterday. Yes, I am a diy work-a-holic - you are probably thinking I should have taken Sunday off but look who we're talking about. I can't NOT be doing something productive for a whole day. It's just not going to happen. I am probably going to be one of those old ladies that works until she's like 80. Anyway, installing the toe kicks on the cabinets is fiddly and annoying requiring fourteen million tweaks on the length of each piece. It took two hours to do 1/4th of the kitchen. And the IKEA kitchen dude? Did not calculate enough toe kick. I remember going "Is that going to be enough toe kick?" and he's like, "Yeah, and I'm including an extra one for filler and stuff." Yeah. Turns out I need two more 7 foot lengths. That's how off he was. Moral of the story is figure it out yourself. That is almost always the case when doing IKEA kitchen stuff. 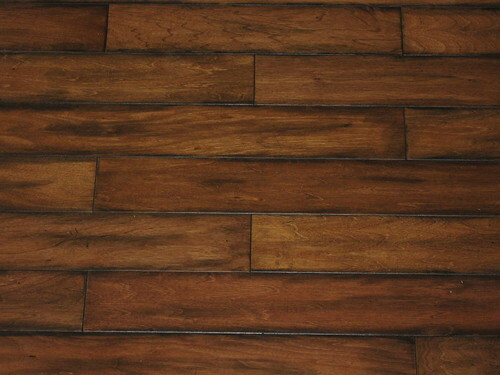 Without further ado, pictures of the flooring. The Husband is not second-guessing the color - that our dining room table is blending in with the wood because it is dark. Yes, it is dark - that is the trend now. There weren't any light colored floating floor options at Home Depot (that weren't crappy quality) and he didn't want to do bamboo again. I figure I will cross the bridge of "decor and accessorizing" when I am done with all the molding and such. There is still so much work do to but at least we have flooring in every room! Nice flooring! 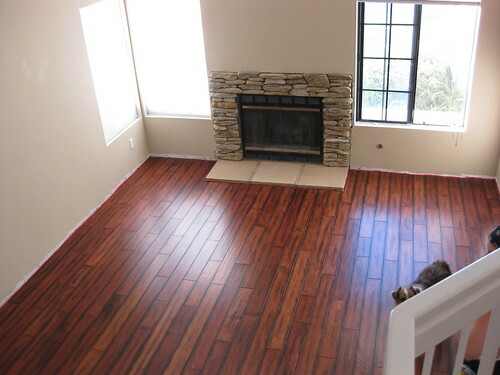 We recently put in very similar looking laminate flooring throughout our living room, hallway, and master bedroom. Let me know when you'd like to make a trip to the midwest. We are NOT DIY'ers, but would love to have someone in our circle who is good at it and could direct us. We'd just need you for a weekend to help with our kitchen. 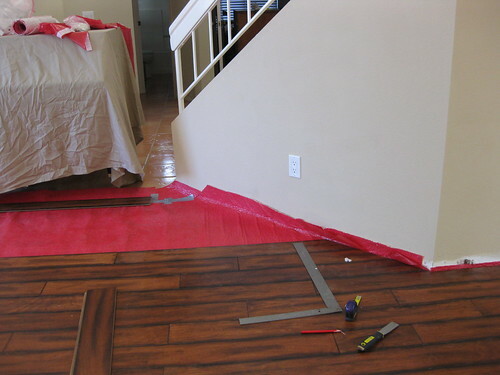 We'd like laminate, and probably the cheaper stuff, at least comparatively speaking. We have no money to hire you...it's strictly on a "how many brownies will it take to you get you here" basis. ;) Happy Monday. 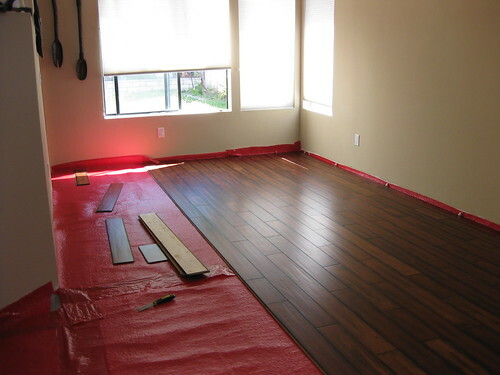 Yah for flooring in every room! I haven't had a chance to catch up on all the posts, but your living room is stunning. It adds instant warmth. It looks perfect! I love it! 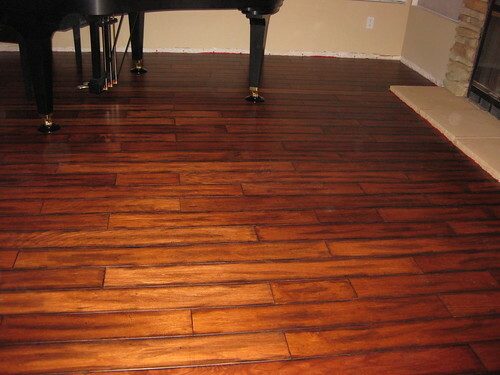 What a difference wood flooring makes. Instant character! And the fireplace looks good with it too. I love the way that floor is turning out! I actually wish my floor was a little darker.